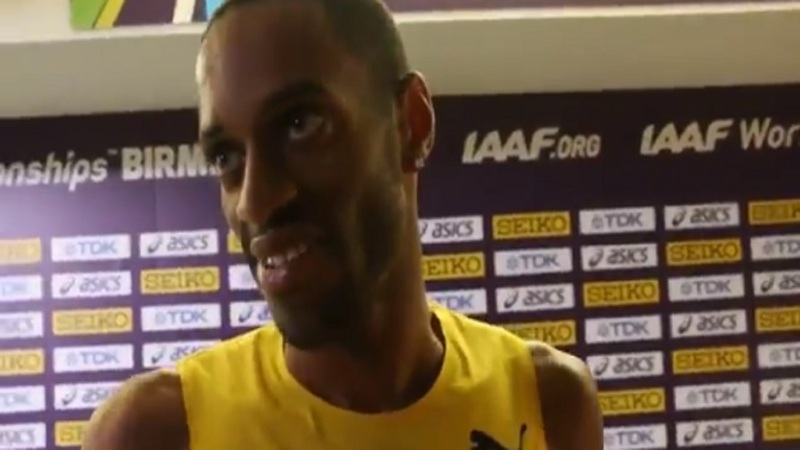 The family of Jamaica's leading distance runner Kemoy Campbell has launched a GoFundMe seeking US$100,000 to assist with the medical expenses of the national record holder. The 28-year-old Campbell has been admitted at the New York-Presbyterian/Colombia University Medical Center after collapsing while leading after 1,000 metres in the 3,000-metre race at the Millrose Games in New York on Saturday. After 14 hours since the launch of the GoFundMe campaign, Team Campbell has raised $21,674 of the $100,000 target from 230 people. Campbell's GoFundMe page stated that "as of this morning, Kemoy is in critical but stable condition in the ICU at New York Presbyterian/ Columbia University Hospital. "Thank you to everyone for your continued support. Kemoy is awake and talking. Please continue to keep him in your thoughts and prayers." The GoFundMe page further stated that "Kemoy will continue to be monitored and recover at the hospital for the foreseeable time. In order for Kemoy to continue receiving the best care and to offset mounting medical costs, we are asking for donations to help support him and his family during this challenging time. Any donation made to help Kemoy on his road to recovery is greatly appreciated. "The Campbell family would also like to express their gratitude for the team of doctors at New York Presbyterian/ Columbia University Hospital and the quick response of The Armory's on-site medical professionals and doctors who assisted Kemoy and for the outpouring of support from the track and field community." The former Bellefield High School and University of Arkansas star looked very disoriented while acting as pace-setter. 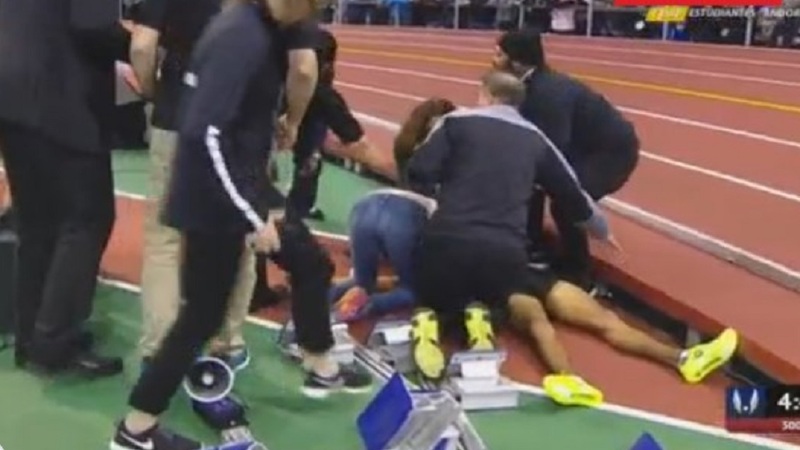 The Olympian fell off the track into the infield near where the men's shot put competition was underway. Spectators watching from trackside screamed in vain for the race to stop while track officials tried to resuscitate the Jamaican until the arrival of paramedics, who performed CPR and treated him with an automated external defibrillator as he lay immobile. A report from an eyewitness said the Campbell, who competed in the 5,000m at the Rio Olympics was breathing and showing a pulse but still unconscious when he was carried out of the arena on a stretcher and transported to New York-Presbyterian/Colombia University Medical Center across the street from the stadium.